Now that I know this has made its way to the intended recipient–the lovely and Ritzy Experimental Katie— I can blog about it a bit. Kittens, I made a mug rug. 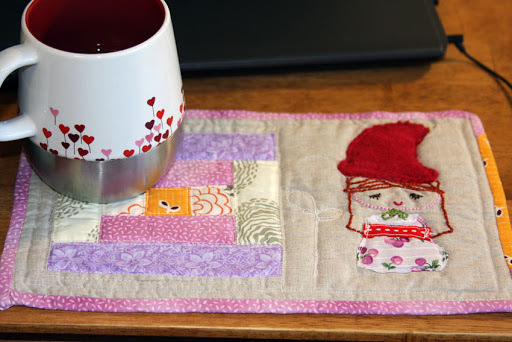 A mini quilt meant to hold your cuppa… and maybe a treat or two. 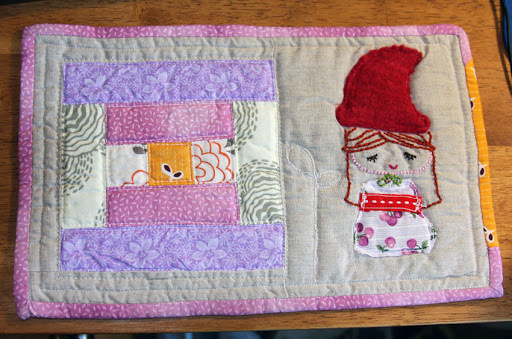 There’s an entire group dedicated to swapping them over on Flickr, and after staring at one after another gorgeous mug rug, I decided to take a crack at it. 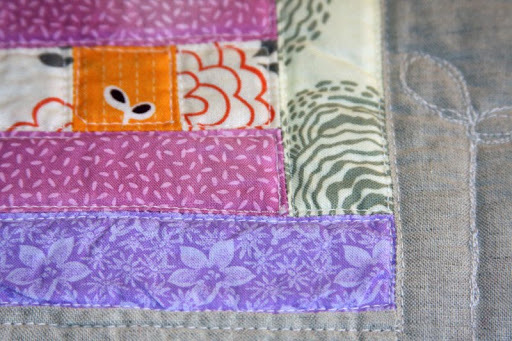 Since Katie’s birthday was coming up around that time–and I just happened to be working on a quilt with purple (one of her favorite colors)–I went to work. Binding something this small proved to be a bit tricky, but thanks to this tutorial, I made it through OK.
I’m pretty sure there will be more of these in my future. Took a little break there, kittens, but I seem to be back onto knitting for the time being. Kittens, it’s getting there. All the blocks are completed. I’ve decided on the layout. 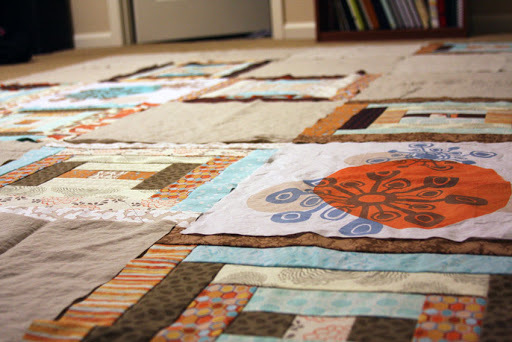 All I have left to do is piece the top, decide on the backing, and quilt/finish. This weekend has been quite productive. There is still very little to blog, kittens, but fear not! Today, a huge box from Jimmy Beans Wool arrived at my house, and I can continue on The Boy’s king-sized blanket. There will be knitting. Oh yes, there will be knitting. And I *did* start a project the other day…another blanket inspired by this one. Kittens, I am all about blankets right now and seem to be flipping the bird to sweaters and socks. It’s going to be all blankets, all the time around here. 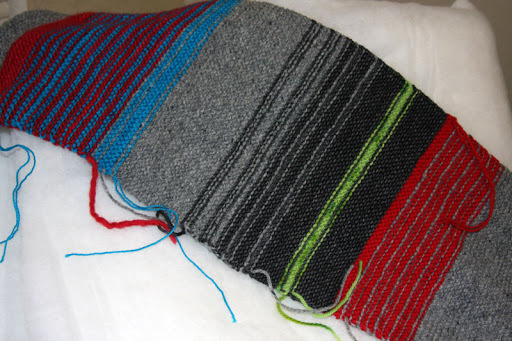 Knit blankets. Quilted blankets. Blankets for The Girl. Blankets for The Boy. Blankets for our bed. A very special blanket just for me. 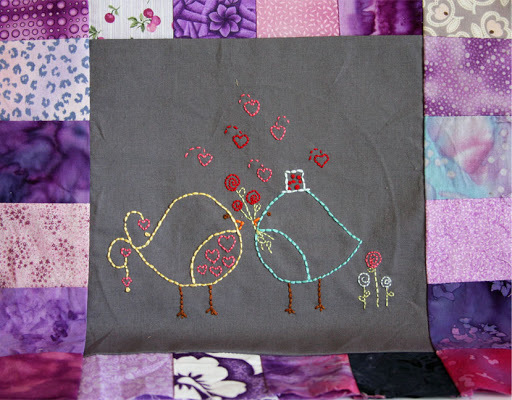 As the title says, I managed to finish Courthouse block 08 of 11 that I need for our new bed quilt. If all goes well, I may be able to wrap these up over the weekend, but we shall see. The last of some other fabric needed arrived today for that and I can start piecing the top as soon as all of the blocks are finished. Yay! Right at the end of January, I finished up this 7th quilt block and then stopped while I considered what I really wanted to do with our bed quilt. You see, kittens, that nagging feeling I often get was starting to roar at me. 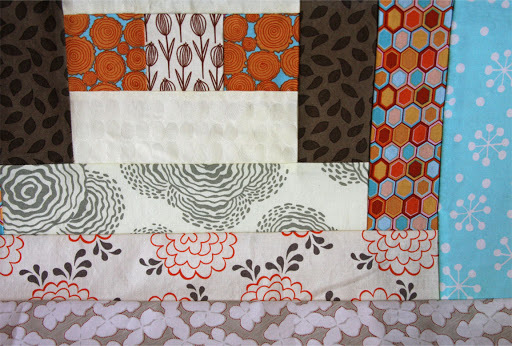 I really liked the blocks I’ve been making, but I wasn’t digging the pattern they came from. This is not the fault of the pattern, but rather, my inability to notice that the retro starburst panels used were not random as I had remembered; they were actually in a symmetrical pattern in the middle of the quilt. 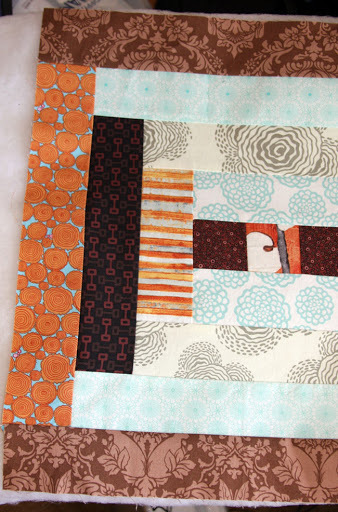 Once I realized this–but not before I spent many days vainly hoping I’d find more panels for sale–and started to play with my own quilt’s layout, I realized there was no way to make the quilt look like anything but an after thought. And really, who wants to put something on her bed that looks like she gave little-to-no thought to it? So I took a couple of days off to regroup before deciding where to go next. I ended up spending an entire evening carefully drawing and redrawing–to scale–different layouts for my quilt top until I came upon one that struck my fancy and was the clear winner. No, I’m not sharing it yet. It’s going to be a surprise. But needless to say, this quilt should finish up much more quickly, and hopefully, it will have a much more modern and purposeful feel to it. I am so boring this year, kittens! I’m amazed you’re sticking around to read my blog. So little has happened since last week that I didn’t take pictures of my knitting WIPs. 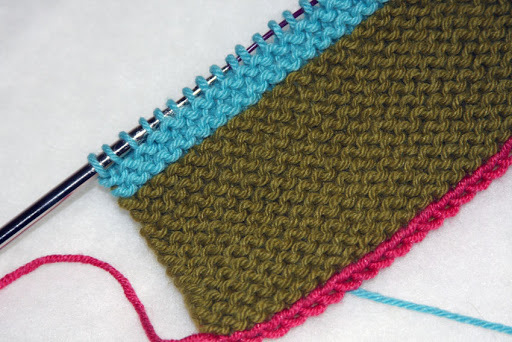 Really, how different is an additional inch of garter stitch/stockinette to a project?! I am working, but very slowly. Someday, I’ll be interesting again; I promise.